Oh my gosh! I can’t believe the holidays are here and that means parties galore. Whether you’re hosting a party or need to bring something to one, why not give this recipe a try? 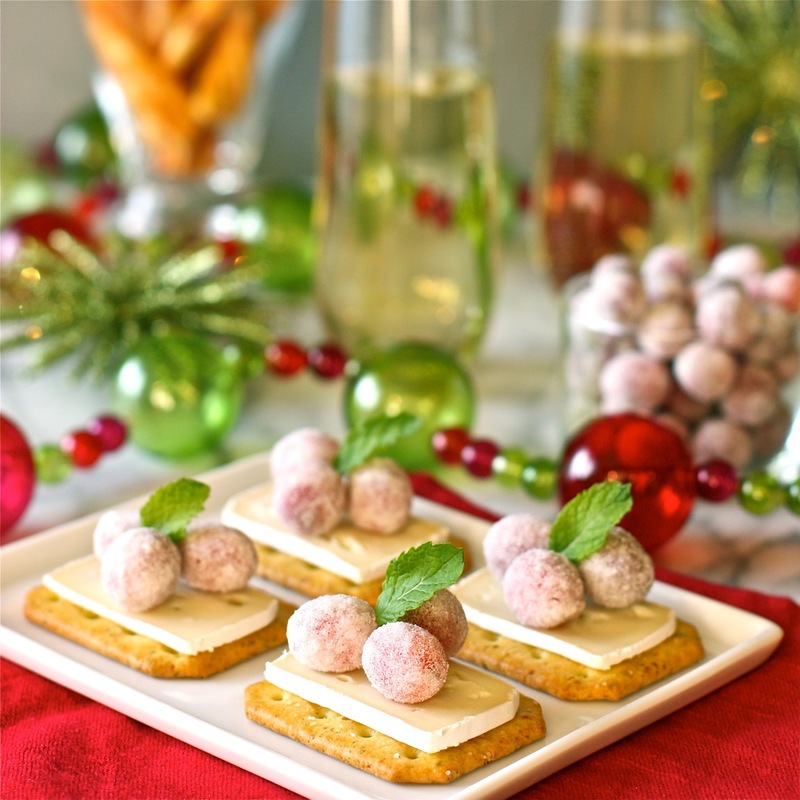 These Brie Bites with Sugared Cranberries will make a stunning addition to any holiday table and is a wonderful accompaniment to the festive cocktails of the season. It’s made with rich and creamy Brie cheese and topped with sugar-frosted cranberries. They make a simple, yet elegant appetizer. It’s actually quite easy to make, but it requires some planning as the fresh cranberries are best when soaked in simple syrup overnight.